Do you have a sibling residing in Canada? Did you know that having siblings who live in Canada gives you a significant advantage when you apply for permanent residency? Well, that is a less known but highly effective tool which can help your permanent residency application gain more points. How are CRS points calculated in the Express Entry System? In your application for permanent residency which is managed through the Express Entry System, Comprehensive Ranking System (CRS) plays a big role. In fact, all the applicants in the Express Entry pool are ranked in the order of CRS points. If you happen to have a sibling residing in Canada, you can gain more CRS points. Once the ranking is completed, a draw is held, and the shortlisted candidates are invited to apply for permanent residency. Canadian Immigration Division holds the draw typically once or twice in a month, and its frequency keeps on changing. Though selection in the draw is not a guarantee for receiving an invitation but a higher score has better chances of being selected for an invite. Which programs are regulated by the Express Entry System? If you are in the Express Entry candidate pool, you would have applied for one of the three immigration programs such as Federal Skilled Trade Program (FSTP), Federal Skilled Worker Program (FSWP) and Canadian Experience Class (CEC). Few Provincial Nominee Programs managed by various Canadian provinces are also regulated under the Express Entry System. How Can Having A Sibling in Canada Help Me in My Permanent Residency Application? Once your application is in the Express Entry pool, CRS points are allocated for each of the selection criteria. Few of the selection parameters are the applicant’s age, education, professional experience, language proficiency, language proficiency of spouse and a Canadian job offer. One important selection criterion is the presence of a sibling in Canada. The sibling who is present in Canada can be either a Canadian citizen or permanent resident. Introduced in 2017, this sibling rule has been used to the advantage of thousands of permanent resident applicants. 15 points are awarded if you have a sibling. It can be quite significant considering that a minimum threshold for CRS points is decided and is different for every draw. So, if one draw had a CRS points threshold of 450, typically all applicants in the pool would be eligible to receive an invitation to apply if their total CRS points are 450 or above. 15 points here can be pretty substantial. Are adopted, common-law and step-siblings included in consideration for the calculation of CRS points? The sibling rule is applicable for siblings borne out of natural birth, adoption, common-law or marriage too. So, siblings of spouses and common-law partners are also covered under the ambit of this beneficial rule, if they are part of the Express Entry application. How does the sibling rule work in different immigration programs? In the Federal Skilled Worker Program (FSWP), a minimum of 67 points out of 100 is required by an applicant to enter the Express Entry pool. Having a sibling in Canada, under this immigration stream allow you an extra 5 points under the adaptability factor. It can be sizeable given that the number of applicants in this highly popular stream can run into millions at any given time. Further, while creating the profile under Express Entry pool, 15 points are also allocated for CRS ranking. If you are applying in the Manitoba Provincial Nominee Program (MPNP), you can be awarded a total of 20 extra points if you have a sibling residing in Canada. The sibling should be above 18 years of age and must be either a Canadian citizen or a permanent resident. The province of Manitoba awards 25 points if your application is under the Manitoba Skilled Workers Overseas stream. At Nanda & Associate Lawyers, our experienced Immigration lawyers understand your specific circumstances and provide tailored and customized solutions for each of them. If you are applying for permanent residency in Canada, you should try to aim for as many CRS points as possible. Express Entry System is the pool from which applicants are invited to apply for Permanent Residency in Canada. You can read more about Express Entry here. For any questions on the eligibility and how to apply for Express Entry, you can know more here. 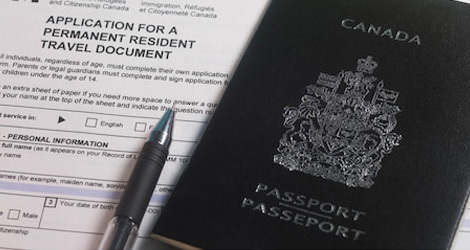 Our Mississauga Immigration Lawyers are available for a no-obligation free consultation. Come and experience our quality legal counsel and personalized care we provide to each of our clients. We ensure prompt communication and a caring approach to get the best outcomes for you and your family.